Water sports are the true highlight of the Polynesian experience. Both ship's small size allows ithem to navigate into shallow lagoons and narrow channels where larger ships may not sail. With the specially designed retractable water sports platform, guests may descend to sea level where they can conveniently hop aboard a windsurfer, launch a kayak or ski jet. The m/s Paul Gauguin offers PADI certification on board for novice and experienced divers, from snorkeling to advanced scuba diving techniques, supervised by their own staff of dive masters. 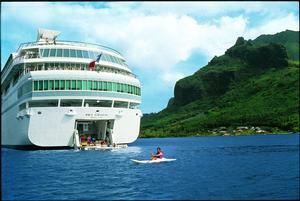 Diving and Snorkling French Polynesia is among the best dive sites in the world. Here you will encounter a myriad of colorful reef fish, turtles, manta rays and sharks. 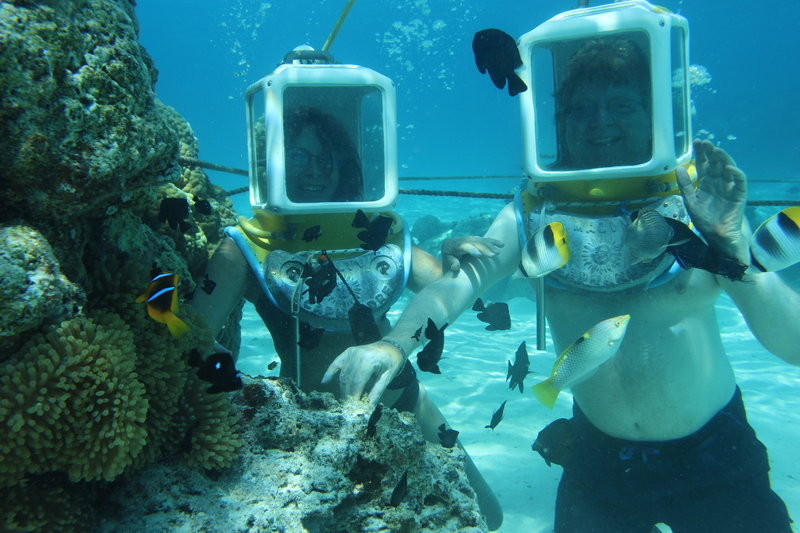 The translucent warm waters are above 80 degrees year-round and has visisibility to over 150 feet. Equipment provided. 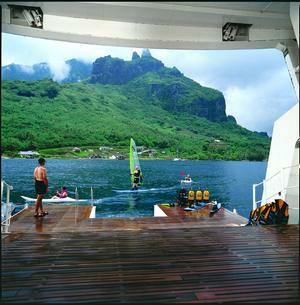 Moorea specializes in shark feeding and dives with rays and dolphins. Bora Bora attracts graceful manta rays in its plankton-rich lagoon. Ambassadors of the Environment Youth Program was created by explorer and environmentalist Jean-Michel Cousteau. 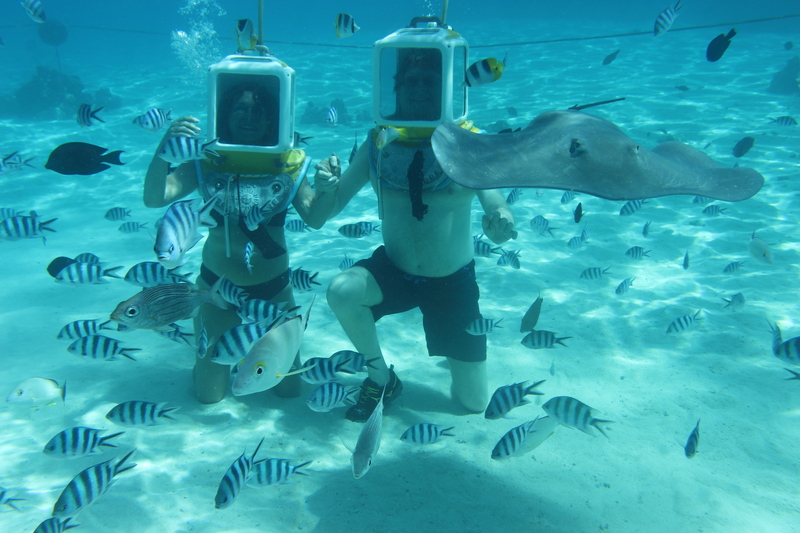 It's a totally unique program that introduces younger guests to the natural wonders of French Polynesia. The program gives participants aged 9 to 17 direct "hands-on" interactive experience with knowledge of marine and Island eco systems. This unique program was created in 1999 by Jean-Michel Cousteau, environmental advocate & son of the legendary Jacques Cousteau, The mission of the Ocean Futures Society is to explore our global oceans, documenting the critical connection between humanity and nature, and gain an understanding of the ocean’s importance to the survival of all life.